This site is enhanced with information gathered from Pierre Brouillette and Robert Benoit's book entitled "Quebec dairy tokens". I would especially like to thank Robert Benoit for his ungrudging help in keeping me informed of new developments concerning the hobby. I welcome all bottle collectors as well as those who are simply interested in the early history of "Quebec dairies". Visiting the web site regularly might give the new collector ideas and it might be an opportunity for the connaisseur to notice new items that might improve his collection. To the St Lawrence Region Jacques Cartier brought cattle on his third voyage in 1541 but the first importation was made by Champlain in 1608. The colony established a farm at Cap Tourmente, twenty miles below Quebec, and had a herd of about 60 animals in 1629. The Province of Quebec must be credited with the first creamery. Farmers at Athelstan in Huntingdon County made the first attempt at creamery butter-making in 1873, but the business did not succeed and was closed after a trial of ten weeks. In Quebec, a cheese factory was erected in 1866 by E.E. Hill at Dunham, Missisquoi County. A grant from the provincial government was given to J.C. Chapais and Rossignol, in 1881 and 1882, to enable them to hold classes for cheese-makers in their cheese factory at St-Denis, Kamouraska County. 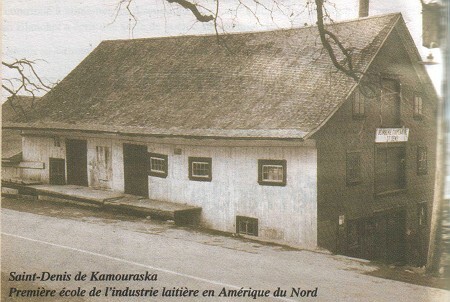 In 1882 and 1883, grants were given for the holding of lectures in creamery butter-making to the creamery at Ste-Marie, Beauce County, where the first centrifugal cream separator was installed in 1882. 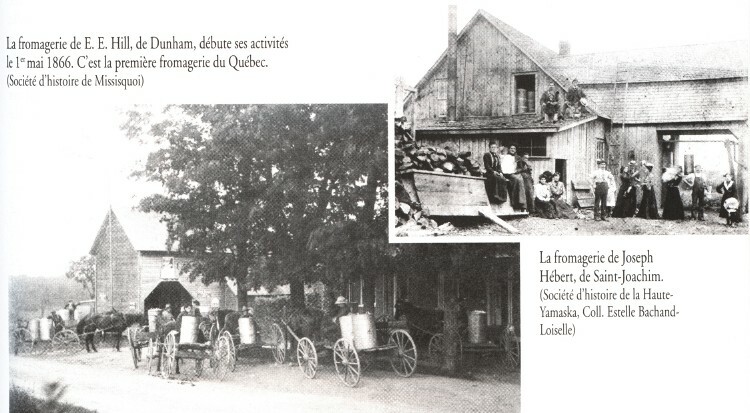 The first dairy school of Canada was established by the provincial government, in 1892, at Saint-Hyacinthe, Quebec. Government also passed the dairy legislation that helped in the development of the milk industry. It was then stipulated, in 1909, concerning the reorganisation of the provincial regulation, that starting on January 1, 1912, all factories had to be registered and that all processors had to have a processing certificate from the dairy school. It is probably legitimate to think that the progress of the dairy industry in Quebec has been associated with the appropriate legislations from the government and the up to date teaching on the part of the dairy school at St-Hyacinthe. Association des techniciens en Industrie Laitière. St-Hyacinthe, Que.